A family member found a scrapbook dating back to the 1890s, kept by a student at Princeton University. Inside, we found all kinds of material related to his interest in athletics (as opposed to curriculum). His passion was bicycle racing, on a Penny Farthing. ​He had kept tickets and announcements of upcoming racing events, some with his name on them. 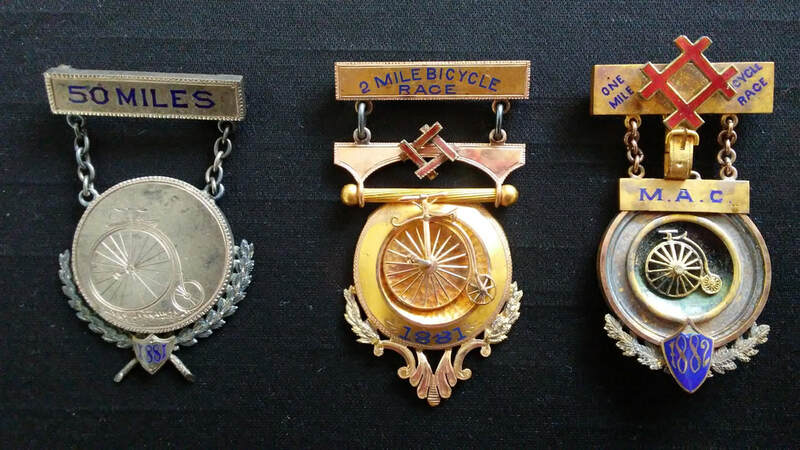 Most exciting was the discovery of a dozen actual medals...one from a 50 mile race! There were also photographs of him with his brother and their bikes. Not knowing much about Penny Farthings, we searched for more information and came up with the video. Now we had several components to work with. 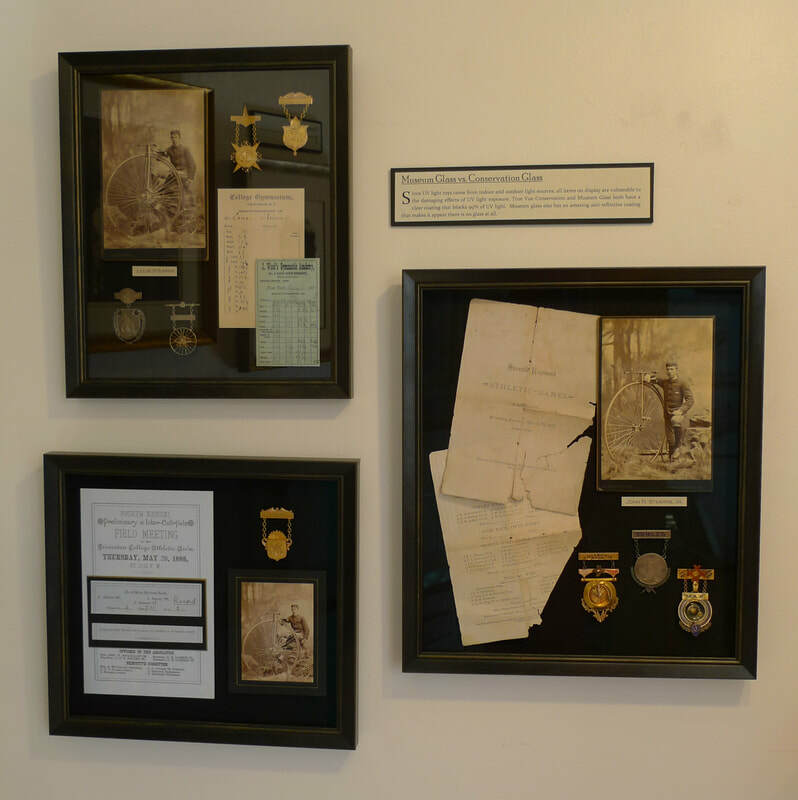 We made several shadowboxes containing the medals and digitally scanned copies of the original photos complete with gold borders. (Originals kept in archival sleeves to be safely stored indefinitely.) The shadowboxes hang on a wall next to a digital picture frame running the video in a loop. Upon removing walls during an antique home restoration project, all kinds of interesting objects were found. Our client brought them in and asked us to come up with a way to display a metal toy boat, a hat, a shoe, newspapers, a timber framing joint and some other small toys. 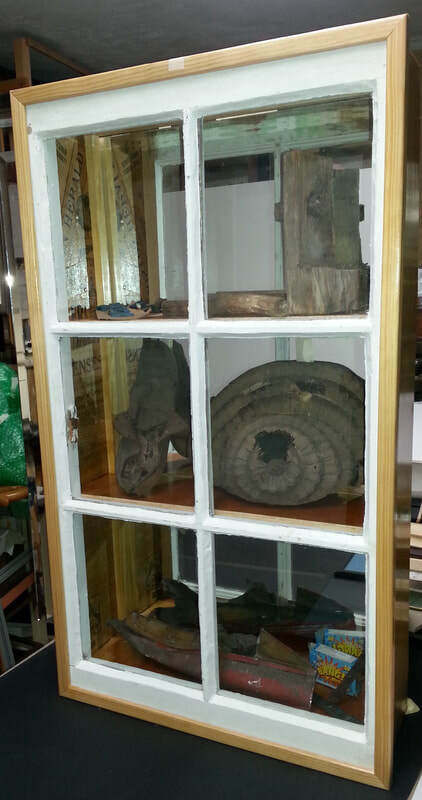 Utilizing an old window, we created a custom shadowbox with shelves to display the objects, a mirror was used in the back of the box to allow better viewing of the objects, and the old newspaper was used to line the interior walls. It was finished off with a shellacked birch exterior.